The Gilas Pilipinas falls to the Dominican Republic on their last tune-up game last August 25, 2014 before heading to the world cup. The Gilas Pilipinas loses in a nailbiting and physical game 86-79 at Guadalajara, Spain. This is the 6th loss of Gilas Pilipinas in a pre-world cup games. The total record of Philippine team is 2W and 6L. The Gilas Pilipinas starts strong in the first quarter of the game they lead 9-0 then ends the quarter with the scores of 21 all. The game was remain close and physical through the end of the second half, the scores 48-44 lead by the Dominican Republic. In third quarter the Dominican nailed most of their shots that gives them a 10 points lead 56-46 that forces coach Reyes to call a time out. After the time out from the Gilas team, they had a 7-1 run to close the game 57-53 before heading to the final quarter. The Gilas showed confidence in the 4th quarter leading by the dunk of Gabe Norwood that puts the game within 1 point and the two free throws from L.A Tenorio that ties the game 65 all. Norwood lead the Philippines with his 17 points, Blatche added with his 16 and L.A Tenorio helped with 10. Still a good show of basketball game from the Gilas team. Dominican Republic (86): Feldeine 15, Martinez 14, Vargas 12, Luz 11, Garcia 10, Sosa 8, Coronado 6, Seuno 4, Santana 4, Sanchez 2. 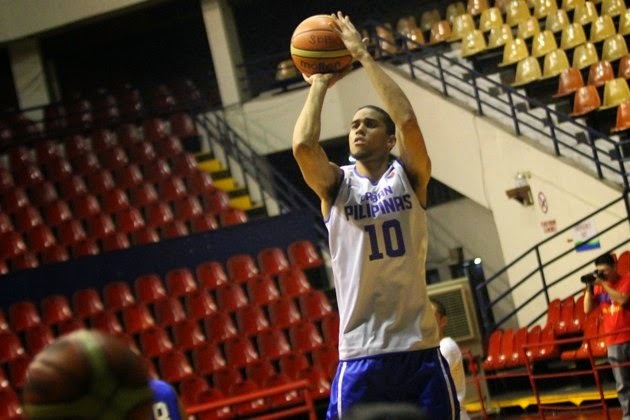 Philippines (79): Norwood 17, Blatche 16, Tenorio 10, Chan 8, David 7, Lee 7, Fajardo 6, Pingris 4, Aguilar 3, Alapag 1, De Ocampo 0. Quarters: 21-21, 48-44, 57-53, 86-79. The next game of the Gilas Pilipinas is on August 30, 2014 vs the Crotia. That will be the first game of the Gilas in World Cup.